Vintage Marquise Sapphire and Round Diamond Wedding Set with Pave Setting | Shane Co.
Twelve marquise sapphires, at approximately 1.04 carats TW, add brilliant color while nine round diamonds, at approximately .71 carat TW, add sparkle to this exquisite wedding set. The rings are crafted from the finest 14 karat white gold and the total gem weight is approximately 1.75 carats. 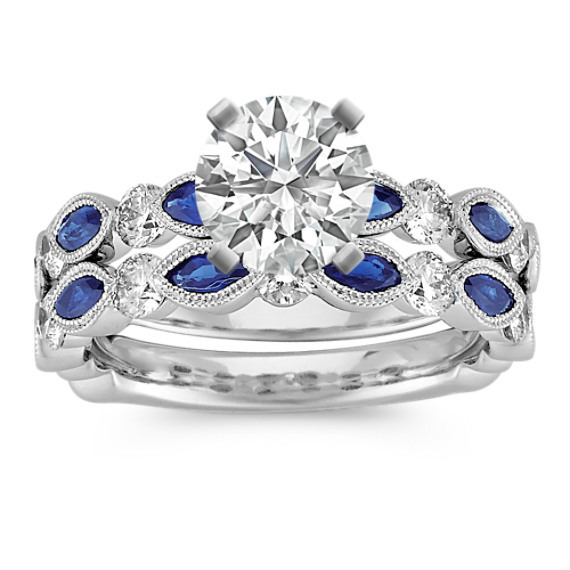 Add the center stone of your choice to complete this magnificent vintage inspired look.